Despite the rumors, pre-fusion acid jazz-rock is alive and well, living it up in Southern California. 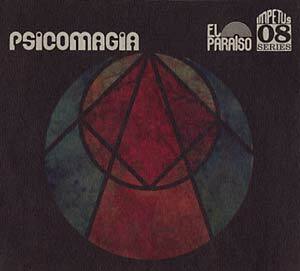 Psicomagia is the joint forces of leading members of noted prog and stoner-rock outfits Astra and Radio Moscow. The band serves up a mixture of the same essence that Soft Machine, Tony Williams Lifetime, and Magma pioneered during that magical period just seconds before progressive electric jazz was grabbed by the institutional jazz scene. A formula thought lost until this day, when seemingly out of the blue, the relentless force of Psicomagia appeared. Spearheaded by multi-instrumentalist and producer Brian Ellis' roaring saxophone, constantly interplaying Tyler Daughn's franticly screaming organs and synthesizers, the soul of Psicomagia is in the endlessly permutated bursts of energy of the two. The relentless heart, however, is kept going by drummer Paul Marrow (Radio Moscow), who carves out a constantly brooding and shifting rhythmic base along with the heavy, travelling bass of Trevor Mast. Together they balance a line between an insanely tight and rhythmic notion of progress, as well as transgressing each instrument's carved path on this cataclysmic journey of musical events. Imagine, on top of that, two poets, repeating obscured mantras, rumbling bells and gongs, and you're getting closer to playing your own Jodorowsky-does-jazz movie playing in your head via Psicomagia. If Psicomagia sounds like a thing of the past, it's simply because they have inherited a unique quality lost in music today: grabbing onto a wide array of genres, and permuting them into their own distinct musical landscape. Roaring with the same neverending energy of SoCal brothers Earthless, Psicomagia opens up a dimension thought lost in music, reshaping a new possible outcome of progressive rock, building their own present time. It is beyond doubt that Psicomagia is not a pastiche retro band -- they are the real deal. True to original formula, the album is produced with a grace and warmth, maintaining a full dynamic range. 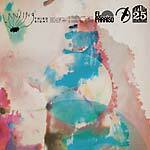 Mastered on analog tape by Causa Sui's Jonas Munk.